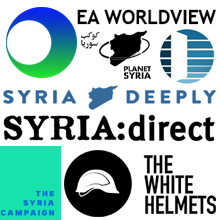 The National Liberal Club deeply regrets having provided the venue for a conference on 5, 6 April in which spokespeople for the Syrian regime of Bashar al-Assad were given a platform to speak – even as the world was reacting to news of the horrific gas attack on the people of Idlib Province. Had we known then what we know now, we certainly would not have accepted the booking. We did not, nor would we ever, knowingly allow our premises to be exploited by war criminals or people connected to genocide or crimes against humanity. The booking was made in the normal way back in January (contrary to reports that it had been hurriedly transferred from another venue), as a privately-organised function (not an official club event, as has also been suggested), on behalf of a seemingly reputable organisation, the European Centre for the Study of Extremism, which featured such notable figures as Lord Kinnock, Lord Williams of Oystermouth and Lord Desai on its list of patrons. The NLC member who sponsored the event is not a member of ECSE, but agreed to act as sponsor as a personal favour to a friend. When news of the gas attack broke, and we became aware of protests both on the street and on social media, we contacted the organisers to ask for further details of the conference. We were told that although two Assad government spokesmen had indeed spoken by video link, the Syrian opposition had also been represented, and three platform speakers had referred to Assad as a “war criminal”. We were assured that many different views were represented, including academics, international journalists and leaders of faith groups. We had no objective reason to break the terms of our agreement with the conference organisers, but continued to investigate. We have since learned that some patrons of ECSE have resigned. And we have not received any answers to further questions we put to the organisers more than a week ago. Although the National Liberal Club continues to believe in tolerance and the free exchange of ideas, we cannot envisage a situation in which we will allow the ECSE to use our premises again. We will also be reviewing our vetting processes. We do not believe that we should make any money from this event. 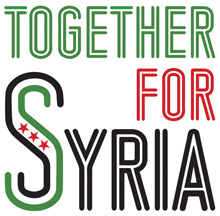 Instead, we will be donating all revenue from the event to Syrian refugee charities in the UK. Above all, we understand the distress that this event has caused, especially to the families and loved ones of those who have suffered at the hands of the Assad regime in Syria, and we apologise unreservedly to them.